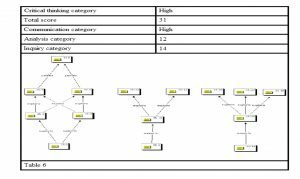 Abstract: In this paper, I have investigated partially the relation between reasoning and argumentative complexity from the theoretical framework of text linguistics. For this purpose, I have explored both the ability underlying the activity of speaking (the ἐνέργεια) and the product created by this competence (the ἔργον). This work supports the hypothesis that the ability reasoning in terms of critical thinking (ἐνέργεια) of college students is related to formal argumentative complexity (ἔργον) of their discourses. Keywords: argumentation, complexity, density, reasoning, thinking. This paper is part of research project Fondecyt Nª 1130584, whose main objective is to investigate the relation between reasoning and argumentative complexity from the theoretical framework of text linguistics. To this effect, I have explored partially both the ability underlying the activity of speaking (the ἐνέργεια) and the product that is created as result of this competence (the ἔργον). From the first perspective, cognitive operations involved in this knowledge during the real activity of discursive production are suggested that, as proposed, are projected in the form of more or less complex, discursive texture or density, on the discourse. From the second, an initial evidence of argumentative complexity -based on the derivational property of propositions and from the notion of argumentative coherence that proceed of those- is provided. The work has followed an approach mixed quantitative and qualitative. In order to establish the capacity or level of ἐνέργεια of the subjects, 80 college students was tested applying the test Tasks in Critical Thinking, created in 1986 by an expert committee of the Educational Testing Service, United States. The tool considers both the multidimensionality of critical thinking and cognitive skills that it requires a priori in a test with 15 kinds of analytical reagents. The dimensions of the test considered are three: inquiry, communication and analysis. In order to determine the degree of argumentative complexity of informants (ἔργον), I followed a qualitative approach, applying the procedures of grounded theory, through the Atlas / ti software. The conception of a faint boundary between the notions of thought and language dates from Aristotle, when he says that the referents of the signs are the same for anybody (Aristóteles, 1986) to Wittgenstein, when he argues that the propositional sign applied is the thought (Wittgenstein, 2003). Research in contemporary cognitive psychology, on the other hand, has shown that language is not the only cognitive capacity of the human being, but rather constitutes a module of a complex function which shares at least with the perception, memory, intelligence and thought; i.e., numerous specialized and relatively autonomous subsystems that, however, interact with each other to some extent. In this regard, it has been proposed that language is a cognitive module (Fodor, 1986) so that its mode of operation would not be found affected by the other components of cognition. In this context, and based on evidence such as FoxP2 protein of chromosome 7 (Marcus & Fisher, 2003), it is postulated that the language would, therefore, a specific skill, not dependent on other cognitive activities. The psychology of development has reported that during the first years of life (stage of absolute realism), humans assume that the mental representation of reality corresponds exactly to reality itself. With the development of both cognitive functions as personality traits, appears later, between cognitive functions, metacognition, and with it, some reflective capacity that allows generate arguments. The reflective thinking, due to be metacognitive, can only occur when the mental content is registered symbolically, what happen when the development of the language allows the representation and the construction of concepts. When we put these concepts in relation in order to obtain a given conclusion we build a sort of arguments that may or may not be verbal, and that are expression formalized of mental activity. In other words, according to Mercier & Sperber (2009) I admit that the arguments used in reasoning are the output of the mental mechanism of inference. The function of reasoning is conceived in this way as an argumentative mental activity since it involves an activity of conceptual inference that leads not only to a new mental representation (or conclusion), but also collateral representations (or premises) that provide guarantees to accept the largest representation. Reasoning, in this sense, can be conceived both as activity mental that generates a convincing argument as to evaluate and accept the conclusion produced by a different individual. The notion of critical thinking has been addressed basically from three different perspectives. First, from a philosophical approach (Siegel, 2010) that focuses its attention on the quality of thought from a regulatory point of view, in terms of standards or rules, i.e., accuracy, clarity, fairness, logic, breadth, relevance, etc., that must to have a person considered critical thinker. Second, from the principles of cognitive psychology (Halpern, 2003), focusing more attention on the real subject, through the research on the processing of information by the critical thinker in order to describe its phases such as analysis, interpretation, problem definition, formulation of hypothesis, etc. Third, from a pedagogical perspective (Bloom, 1971), from which cognitive abilities are classified hierarchically in a gradual taxonomies. For the purposes of this paper, following Siegel (2010) I propose to link critical thinking with reasoning. According to his view, in fact, critical thinking is a manifestation of reasoning. The notion of speech complexity has been addressed very superficially, from different theoretical approaches, and preferably focusing on the microstructure of the text, particularly its syntactic organization. 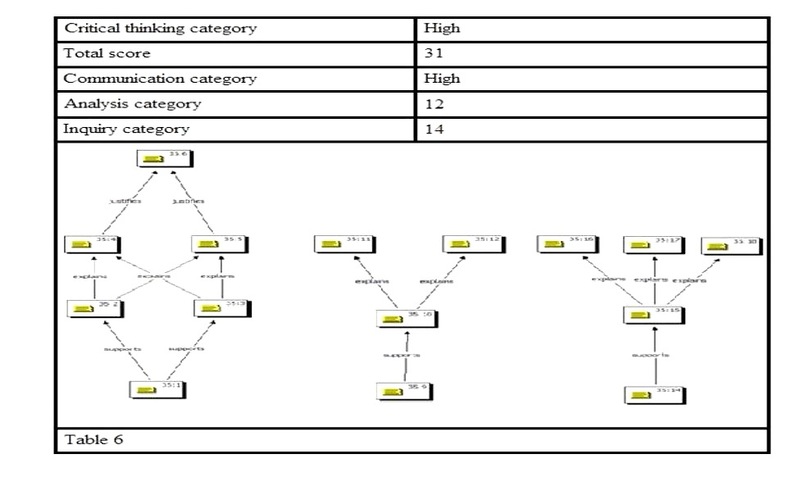 For example Véliz (1999) relates syntactic maturity with the ability to produce linguistic units structurally complex at sentence level, which in his opinion would be expressed in the number of combinations and transformations that the speaker makes in the process of production of a given sentence. From other epistemic approach, van Eemeren, Grootendorst and Snoeck (2006), to address the distinction between an argument based on a single and a complex, multiple, coordinated or subordinated argument, propose a model that considers argumentative complexity in terms of the number of arguments of a text and the relationships established between them. Merlini (2011), in other hand, in a larger semiotic context, following Beugrande’s standards of textuality relates the notion of textual complexity as evidence of mark, proposing that any sequence of text marked as complex, could derive from a source of conflict related with the cohesion, coherence, intentionality, acceptability, etc. With the concept of discursive complexity I have tried to refer that body of knowledge of speakers to organize argumentatively, in varying degrees of texture or density, a speech with respect to the macrostructural level. According to Van Dijk (1992) the macrostructure is an abstract representation, in a bottom up sense, of the semantic content of a speech. In cognitive terms, represents an operation of information reduction from the textual surface structure, as shown in Table 1 from the novel The ingenious hidalgo Don Quixote de La Mancha. Conceived the discursive capacity as a ἐνέργεια, is interesting establishing the kind of knowledge involved (i.e., reasoning/critical thinking) that is used to discursively deploy the macrostructure of a text, in generative direction from top down, at different levels of complexity by means of a set of propositions of sequential lower level. The discursive production rules that contribute to the density, texture or discursive complexity and which represent an opposite operation to the macrorules (van Dijk, 1992), I suggest, are basically, ‘attach’, ‘particularize’ and ‘specify’. The rule ‘attach’ represents the inverse operation to the macrorule ‘delete’. 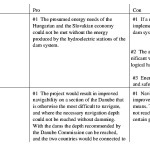 As we can see in the Table 2, through this application we can wrap the speech with a series of propositions that are of low relevance to the macrostructure and, because of it, should be at a low level of macrostructural depth. The rule ‘particularize’ represents the inverse operation to the rule ‘generalize’ (see Table 3). Thus, through its application, we can decompose a macroproposition in a series of minor propositions that involve it. As textualization rule, apparently have higher density capacity, texture or complexity that rule ‘attach’. The rule ‘specify’ finally is conceived as the inverse operation of the ‘integrate’ rule. As we can see in the Table 4, by putting into execution this rule we can generate speech in terms of propositions that are subsumed under the cultural framework corresponding at the macrostructure. Since cognitively represents the same operation as the rule ‘particularize’ should have a similar effect of textual complexity. I conceive that linguistic competence is formed by the sum of a series of independent knowledge (Coseriu, 1992) that interconnect necessarily together in the time it is updated in the form of a particular discourse. Constrained by the strength of the discursive tradition, competence is projected unevenly in the form of discourse, thereby affecting the density, texture or complexity of the macrostructure and consequently, the degree of coherence. I use here the term coherence for to make references to the global inter-relatedness (macrostructural) in the text (Halliday & Hasan, 1976) that is dependent on the formal structure and the relationships established by the parties thereof. I recall that these relations are nonlinear and are set at different levels of depth of discourse (Van Dijk, T. & Kintsch, W., 1983). Depending on the grade or quality of reasoning variables possessing or activate a particular speaker will be updated a type of discourse with more or less global coherence, determined by textual structure and relationships of parts, potentially measurable in terms of complexity or intensity of the texture discursive. In order to show the relationship between capacity of reasoning and argumentative complexity, are presented below (see Table 5 and Table 6) two examples of the corpus with the scores in the dimensions critical thinking and argumentative complexity, respectively, which in turn are prototypical of the general tendency which emanates from the corpus. The Subject 1 shown in Table 5, categorized as deficient in terms of the critical thinking to achieve a total score of 17 points, 8 in the category of analysis, 5 of inquiry and a normal behavior in the communication, through the cognitive operations that I have called macrorules of density, texture or argumentative complexity, generates a speech with 5 propositions disassociated through rule attach, and 6 linked propositions through rule particularize or specify. The Subject 1 demonstrates low critical thinking, and consequently his speech low coherence, due to the poor speech density, represented by the low depth macrostructural and the absence of substantive relations between propositions. The Subject 2, as show the Table 6, categorized as high in terms of critical thinking, achieve a total score of 31 points, 12 in the category of analysis, 14 in inquiry and a high performance in the communication, by the macrorules of density, texture or argumentation complexity generates an speech with 3 propositions at the base through rule attach, but linked with the rules particularize or specify on the second and/or third level of semantic complexity (11 propositions at different levels of semantic complexity). Unlike the Subject 1, the Subject 2 has more speech density because progresses with greater cognitive macrorules to a second or third level of macrostructural complexity that ensuring more coherence overall due to the speech complexity. The work has allowed propose initially certain cognitive operations associated with language competence, ‘attach’, ‘particularized’ and ‘specify’, whose role as has been suggested is to deploy in the speech, as ἐνέργεια, the semantic macrostructure causing thereby different degrees of density, texture or argumentative complexity. In a similar sense, from the data is possible to suggest characteristics of argumentative complexity, as ἔργον, in terms of varying degrees of texture or density of speech in regard to macrostructural level. The intersection of the information provided by the test Tasks in Critical Thinking and the obtained using the initial model of discursive complexity has allowed specify aspects of the relationship between thought and language, particularly as it relates to the specific domains of cognition modules. This is an early work that still requires further research, especially on how and why the propositions in argumentative discourse relate, and their cognitive justification. From the sample under analysis, it is possible to argue that there is a correlation between reasoning in terms of critical thinking and argumentative complexity. The cognitive dimensions measured quantitatively which provide higher correlations with discursive rules of complexity argumentative are analysis and synthesis. Aristóteles. (2001). Tratados de lógica. México, Editorial Porrúa, S.A.
Coseriu, E. (1992). Competencia lingüística. Elementos de la teoría del hablar. Madrid, Gredos. Eemeren, F.; Grootendorst, R. y Snoeck, F. (2006). Argumentación. Análisis, evaluación, presentación. Buenos Aires: Biblios. Fodor, J. (1986). La modularidad de la mente. Madrid, Ediciones Morata. Halliday, M. & Hasan, R. (1976). Cohesion in English. London, Longman. Halpern, D. F. (2003). Thought & Knowledge. An introduction to Critical Thinking. Mahwah, N.J.: Lawrence Erlbaum Associates, Publishers. Marcus, G. & Fisher, S. (2003). Foxp2 in focus: what can genes tell us about speech and language? Cognitive Science, 7, 257-262. Mercier, H. & Sperber, D. (2009). Intuitive and reflective inferences. In J. S. B. T. Evans & K. Frankish (Eds. ), In Two Minds (pp.149-170). New York: Oxford University Press. Merlini, L. (2011). A ‘natural’ approach to text complexity. Poznań Studies in Contemporary Linguistics 47(2), 203–236. Siegel, H. (2010). Critical Thinking. In: P. Peterson, E. Baker, B. McGaw, (Eds. ), International Encyclopedia of Education, 6, (pp. 141- 145). Oxford: Elsevier. Van Dijk, T. (1992). La ciencia del texto. Barcelona, Ediciones Paidós, 1989. Van Dijk, T. & Kintsch, W. (1983). Strategies of discourse comprehension. New York: Academic Press. Véliz, M. (1999). Complejidad sintáctica y modo del discurso. Estudios Filológicos, 34,181-192. Wittgenstein, L. (2003). Tractatus logico-philosophicus. Madrid, Alianza Editorial.